More senior citizens are choosing to maintain their independence and live in their own homes as they age. However, falls are the leading cause of injury for seniors, often resulting in reduced mobility and loss of independence. Addressing fall hazards in each area of the house is critical in making a safe home for seniors. Install grab bars inside and outside of the bathtub or shower. A grab bar should also be installed next to the toilet. Non-slip mats or strips can be added to the floor of the shower or tub. Placing night lights between the bathroom and the bedroom increases visibility to make a safe home for seniors at night. Falls in the kitchen are often caused by attempting to grab an out-of-reach item. Store kitchen supplies so they’re within easy reach. Use eye-level cabinets for storage when possible. To grab items on taller shelves, get a reaching aid, such as an EZ Reacher. It’s a long tool that allows items to be secured safely from a distance. They’re available from medical supply stores and many online retailers. Flooring is an important component in a safe home for seniors. The floor needs to remain uncluttered and free of obstacles. Area rugs should be removed or secured with non-slip backing. Wires and electrical cords can be taped to the wall to keep them safely out of the way. Have an electrician add outlets to minimize the use of extension cords. Finally, arrange furniture to create wide pathways that will fit a walker or wheelchair. Inspect the stairway for fall risks in order to create a safe home for seniors. Loose carpeting on steps and broken stairs should be repaired. Keep the staircase free of clutter. Install secure handrails on both sides of the stairs to run the entire length of the staircase. Adequate lighting, which includes a light switch at the top and bottom of the stairs, is essential. 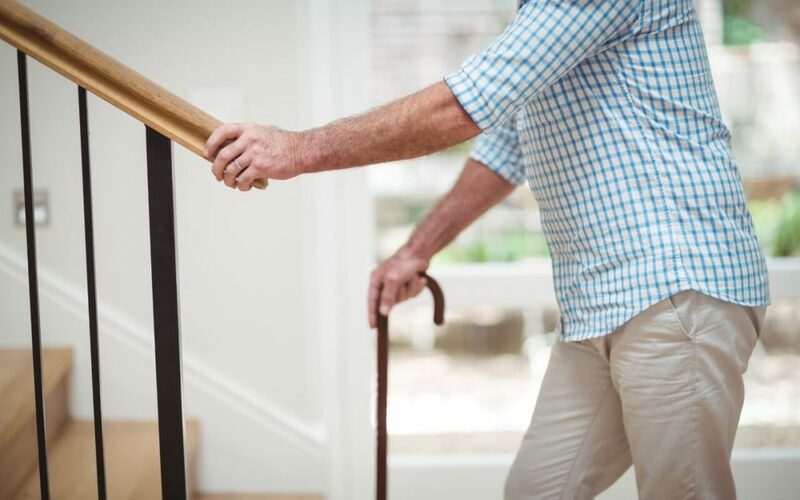 For seniors with severe mobility issues, a stair lift is a worthy investment. HTown Home Inspections offers home inspection services in the Greater Houston Metro area. Contact us to request an appointment.